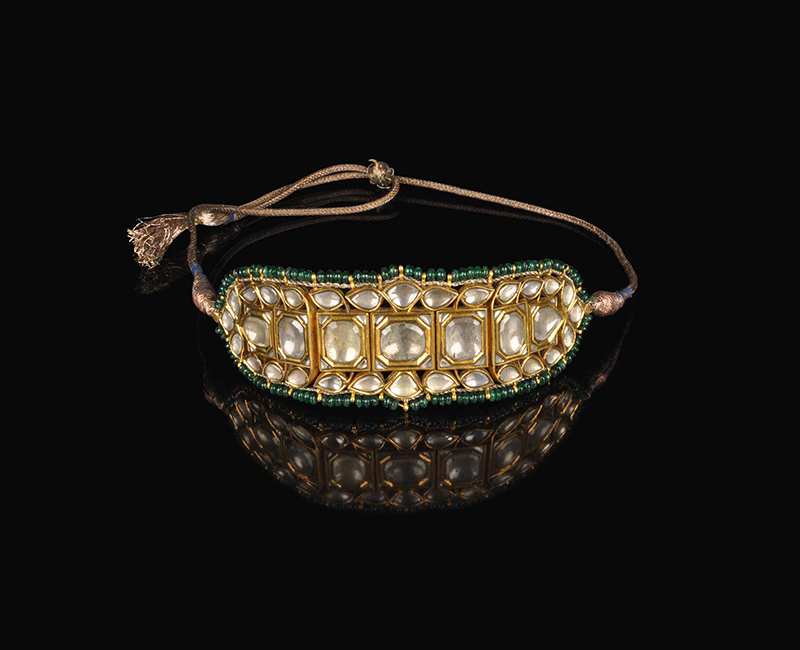 Set with table cut diamonds and a cabochon emerald suspending emerald beads. Reverse enamelled in red, green and blue on a white ground depicting poppy flowers. 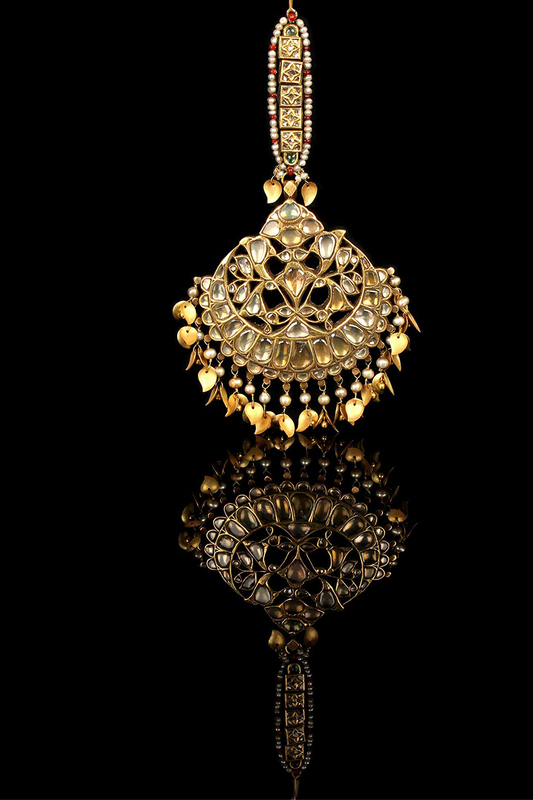 Set with table cut diamonds suspending gold leaves. The reverse decorated with red poppy flowers on a sky blue enamel ground. 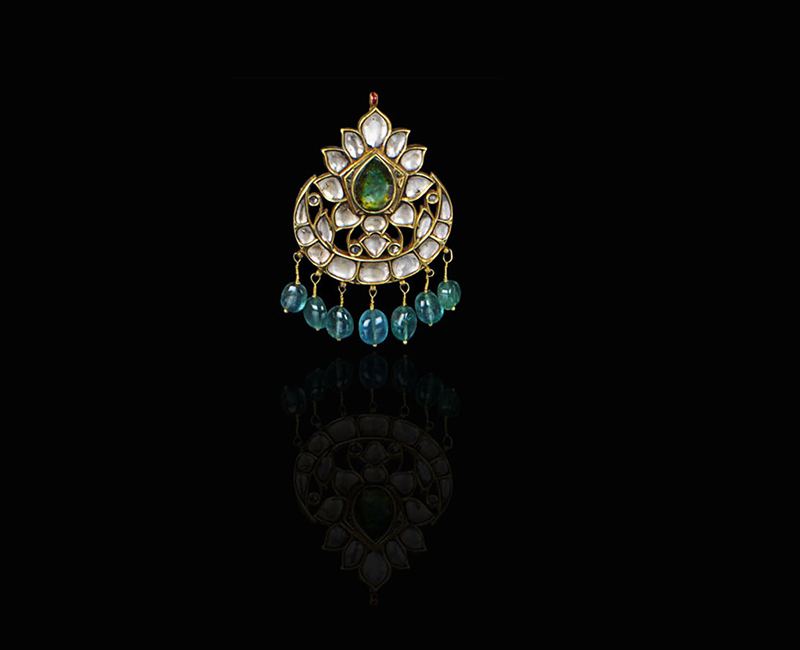 Comprising seven foliate panels kundan set with table cut diamonds. The reverse enamelled in red , green and blue on a white ground depicting poppy flowers. 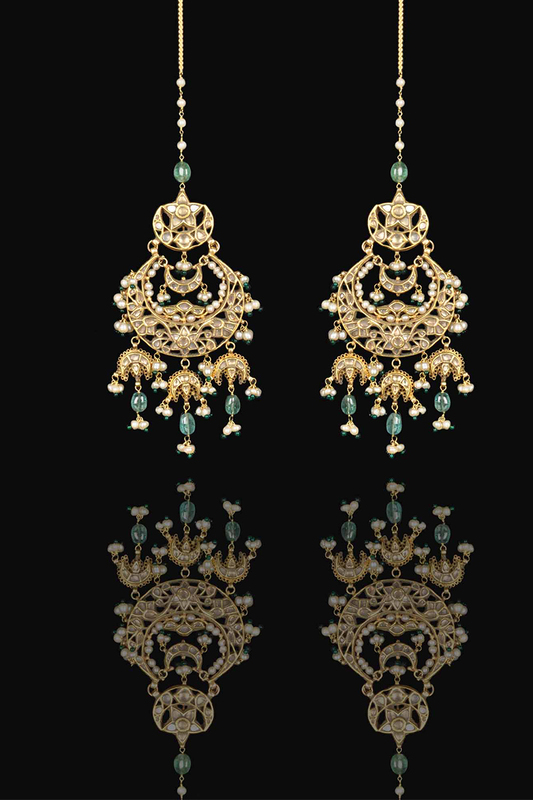 Earrings in the form of crescent moons kundan set with Diamonds. 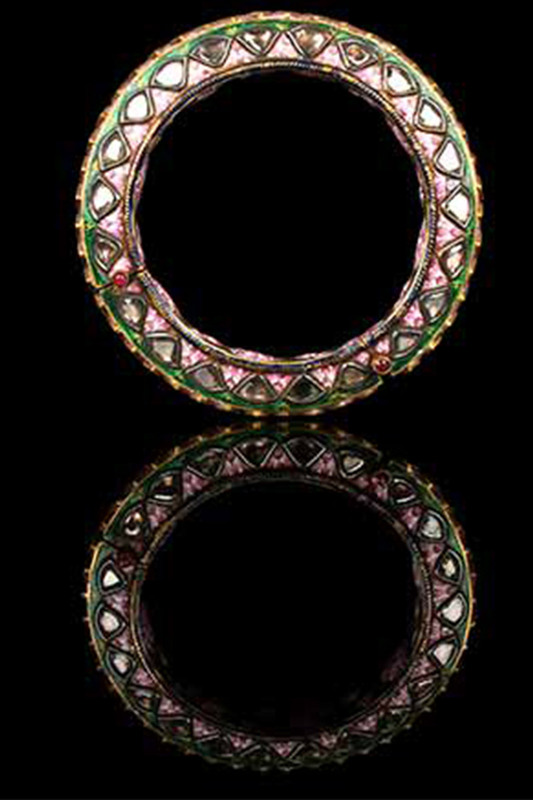 Hinged Bangle set with Diamonds. 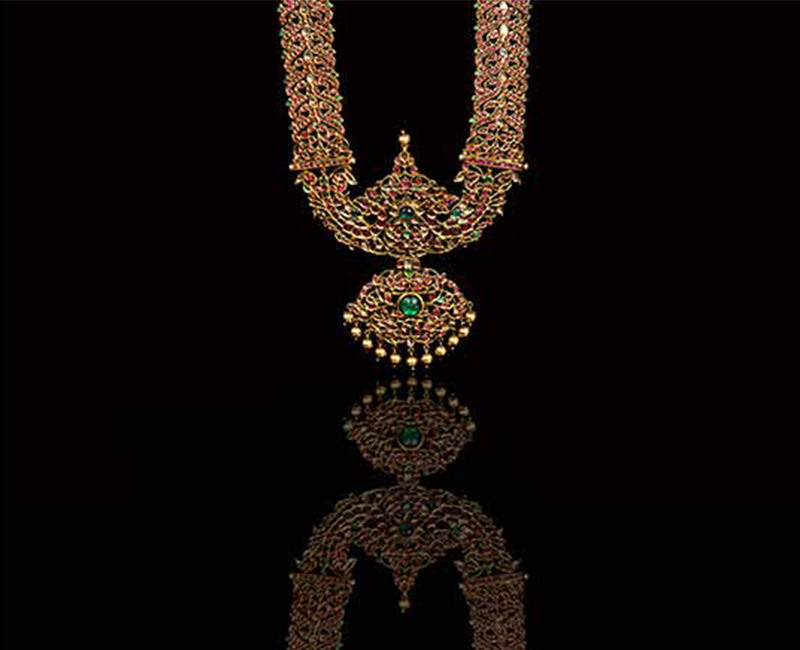 The necklace is made up of mango shaped pendants each set with a Diamond in the middle and surrounded by Rubies. 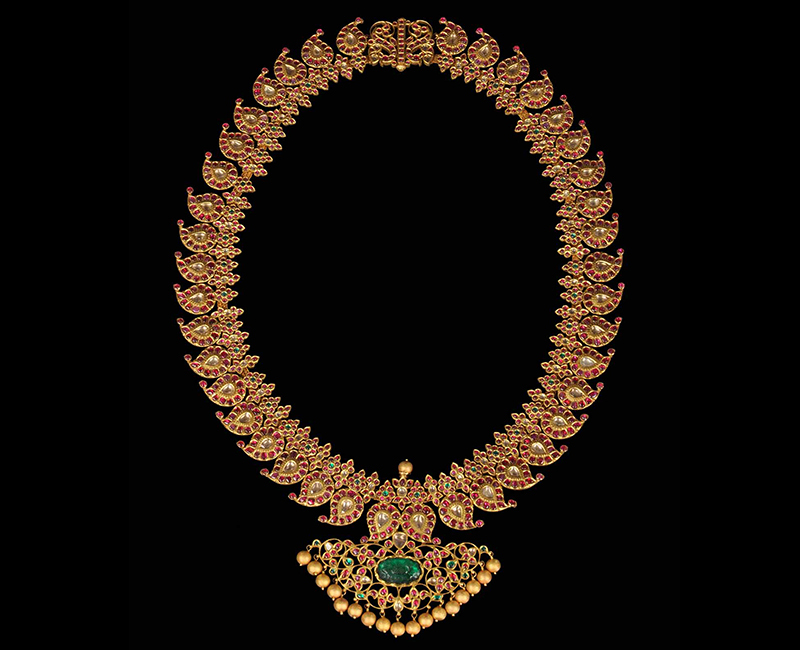 Crafted from gold and set with Rubies, Diamonds and Emeralds.